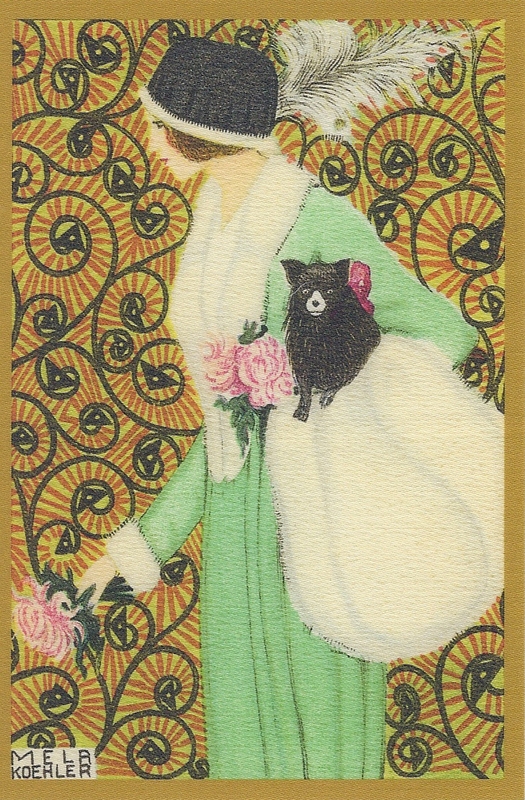 There were several waves of chinoiserie (Chinese) styling in textiles and interior decorating in Great Britain. 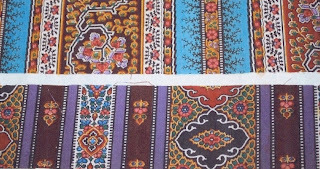 During the 17th century, the East India Company sent to their offices in India musters containing 'suggestions' on both colorations and styling for the very popular cotton fabrics they were importing. The highly skilled Indian craftsman saw these requests and quickly adopted a very imaginative approach to the floral elements in their hand painted textiles. A Tree of Life often contained a very English looking rose, etc. At the same time, English taste was being influence by the design work on other imported goods, wallpapers, embroidered wall hangings and china wares, from Canton . 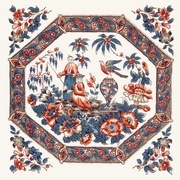 Darly's New Book of Chinese Designs printed in 1754 and Pillement's Livre de Chinois from 1758 offered textile designers inspiration in the 18th century. 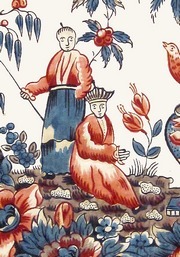 This image is from the Chinoiserie panel c. 1830 I recently printed. See full panel below. On April 15, 2011 I will launch a line of 5 of these Chintz Center Panels that are from quilts owned by private collectors and the International Quilt Study Center, University of Nebraska-Lincoln. The panels range in size from a 10" x 12" rectangle (above) to a large 30" square. I am having them printed in America to my specifications, making sure they are authentic in color and scale. All of them can be seen on our website, on April 15th! Printed stripes were popular for furnishings and clothing at the turn of the 19th century and beyond ( 1790-1840). These stripes easily found their way into quilts...as sashing, in strippy style. I was reviewing some images from my fabric sample books recently when the stripes below caught my eye. 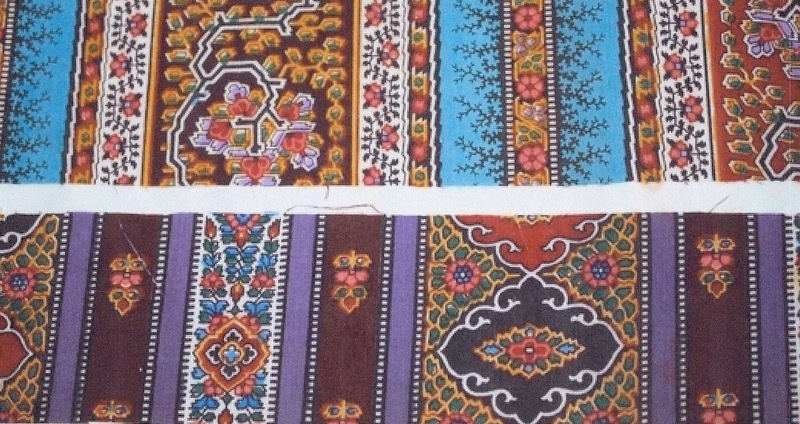 I think in the past, I dismissed these examples because there so much going on here...different widths, different motifs. They would, however, be perfect for a medallion set quilt. In the lower example, the smaller madder stripe could be used close into the center while the wider stripes would work further out. I need to rethink these two beauties. Medallion set quilts have been consuming me recently. Watch for a little annoucement on next week's blog!